With the start of a new year, I find myself making constant lists:) Its a time to get yourself motivated an organized. 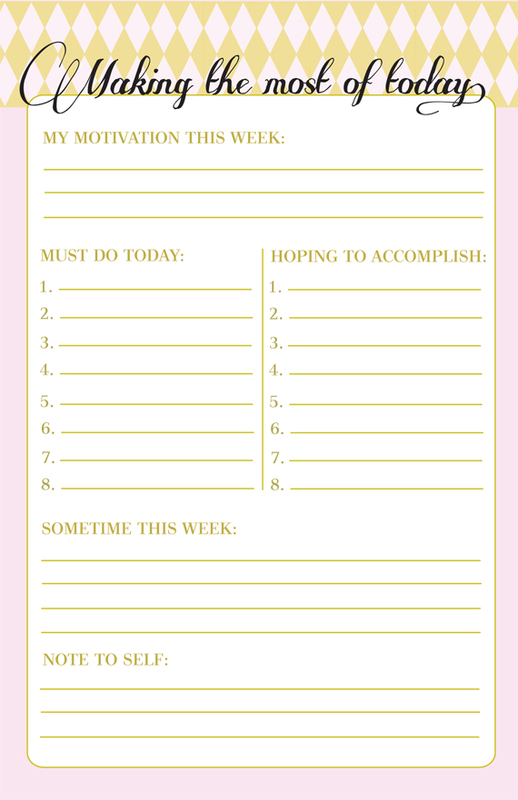 I re-designed the last to-do list I posted a while back, in the pink and gold tones I am really loving. I hope it will help you with all your goals for the new year! You can download yours (two to a page) here! Totally sweet - this makes daily tasks so much nicer! 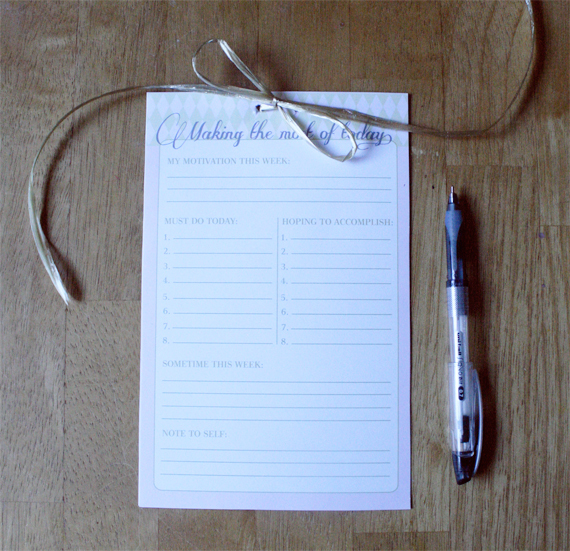 Just printed this :) I am constantly making lists - it's how I keep from going crazy! I love the pink and gold, too! i am loving all the to do list everyone is making. I think I am going to make a binder of them all. I'm a total list maker and this is so pretty and functional. Thanks Anna! Ack! If my printer had ink, I would so be printing this! I definitely need to get a to-do list together and start crossing items off of it! This is absolutely adorable... I love it! Love it! So super cute Anna. I need to make more lists! So fab and love that they print 2 to a page. Thanks! This is just fabulous! I love it so much. Thank you for sharing this. love this! as soon as i get my new printer set up tonight i'm going to make a book of these to get me organized! Thanks so much, Anna! What a treat. This is great, Anna. I think writing goals down for the week and to-dos is a wonderful way to remember them/get them d.o.n.e! These are great for getting organized! I think I am going to print the fist one - thanks for sharing! This download is perfect for making the new year organized and pretty :) Love this! oh i love this for the new year, it's just what i needed today, thank you! Love these!! I started making lists on my iPhone, but I find that writing lists is much more comfortable. I will check these out! I am constantly making lists, I swear I have one for everything. This would make my list so pretty, and maybe it would inspire me to get more done! I love it! Oh I am all over this!! And know a friend that will love it too!! this list is perfect for the new year. thanks for sharing. i am SO using this! Thank you thank you Anna! Cute! Must pin or steal. I have lots to accomplish this year...I better get started! Just found this on Pinterest, thank you! I'm printing it and putting it inside the cover of my planning binder. I'll use a dry erase marker to plan each day, and cut down on lots of lists laying around. Thanks! This is beautiful - found on Pinterest. Thank you! This is a great tool for being mindful about time. I am going to pass it on to my life coaching clients. Thank you!